Wow, this is like “iterative refactoring”, which is a term I just made up :) I like the idea of refactoring so that the code still works every step of the way, instead of leaving things broken until the end. You can break a large refactoring into small moves. A single refactoring move has many steps. After any step that may introduce a failure, we run the unit tests. 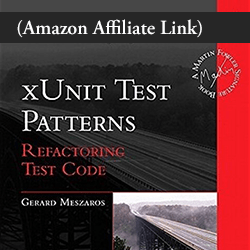 The key thing is that we don’t refactor without tests, and the tests should never fail. We start in green, and end in green. And we check often. I keep saying this: The Refactoring book changed the way I code. * With one exception: when you need to refactor something to make it testable. That’s when I pull out my copy of Working Effectively with Legacy Code. That’s why, before I begin any refactoring, I first check to see if the code in question has tests …But how does one do that? I started by enabling code coverage, and running all unit tests. And look at that, I see 100% coverage for that method! So we’re good, right? But the code coverage was a lie. I knew that because when I first came across this viewDidLoad method, it had no tests. And I wanted to start by extracting the helpers setUpNormalView and setUpAlternateView. (Reminder: I anonymized this code. Those aren’t the real method names.) So I wrote tests to cover both. One test sets isAlternateStyle on the view model, and the other doesn’t. The lines that set the placeholder values aren’t tested. They just happen to be incidentally hit on the way through each branch. Because we test both sides of the conditional, we have “100% coverage”. But it doesn’t tell us if the code is safe to refactor! If the coverage shows a hole, I know that area is lacking unit tests. In other words, where there is no coverage, we know that no tests cover that line. But the opposite is not true! When a line shows in code coverage, it doesn’t mean tests cover it in any meaningful way. How can we check for meaningful coverage? There’s a simple way to test the tests: Deliberately break something in production code. As you can see, I’m simply setting all the placeholder values to “BOGUS”. Then I ran the unit tests. There were no test failures. This proved to me that despite the 100% coverage, the tests didn’t actually cover those lines! Once I knew that the placeholder lines weren’t covered, the path was clear: I added tests for them. These tests failed until I restored the original code. This gave me the confidence that now, I had enough test coverage to begin refactoring. Unit tests are essential for refactoring. Before any refactoring, ask: how good are the tests for that section of code? Lack of code coverage tell us that no tests cover a section of code. But having code coverage doesn’t tell us anything about the tests. Check test quality by deliberately breaking a section of code to see if any tests fail. Add any missing tests before starting to refactor. While refactoring, start in green, stay in green, and end in green. Next time, we’ll start to refactor those code smells, but using small, small steps. What questions do you have? What challenges do you face as you begin applying these refactoring principles? Please share in the comments below. Before any refactoring, do you ask: how good are the tests for that section of code? This is awesome, Jon! I’d always wondered how to verify that tests are strong enough, and intentionally breaking the production code makes perfect sense. Thanks! Thank you for the post. I have a question on below rule. How to refactor code (legacy code) which doesn’t have any unit tests? Balaji, that’s a really good question. Because quite often, in order to make something testable, it needs to be refactored! I felt stuck on this question until I read Working Effectively with Legacy Code. Make snapshot tests for views. This is a type of “characterization test”. When all else fails, do a manual test that confirms your change. I’d say that you can refactor without tests. Unfortunately, at the same time, you can’t be sure if it was a refactor or a change. That’s why tests are very important. The tricky parts are with the code that can’t be tested. 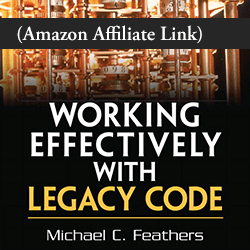 Working Effectively With Legacy Code is a good source for many cases. However, legacy code contains such a variety of “solutions”, that no book is enough to cover them all. Good tips about making sure that the tests are covering enough! The particular techniques in Working Effectively with Legacy Code are important. But even more important is the mindset. The techniques are just demonstrations of that mindset. We have to continue to find new applications. So, keep it up, Aleksi. When you bump into something that can’t be tested, find a way to carefully transform it into something that can.